Chicken Smoothie Secret Santas are members of the great and vast CS community who build up a collection of gifts for another user, starting November all the way up to Christmas. 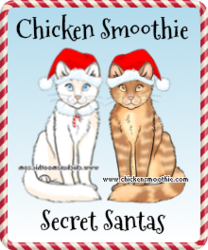 Chicken Smoothie Secret Santas was an old idea created by Lyu back in 2011, almost six years ago! Many CS users had a fantastic Christmas due to the number of generous users participating in the event. Since then, the event has changed and grown, but the festive, giving spirit is still there and stronger than ever. 2017 Chicken Smoothie Secret Santas is now up and open! I posted a new FAQ on how to fill out the first line of the membership form. Seems like some people weren't sure how to put in their profile link and username, so Regina Swan-Mills made a little mini tutorial. I posted another FAQ for those asking when registration ends. Registration ends at rollover on November 29th! Click here to see when that is in your time zone. Registration is now closed! I'll be waiting a little longer for some people to fix their incomplete forms before I finalize things and assign everyone. Finalizing everything now! 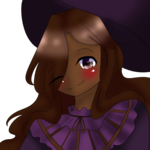 Everyone should receive a PM from either me or one of the Little Elves with everything you need to know, including who you're assigned to gift, within 24 hours. We all live in different time zones, so some people may get their PM's earlier than others. Bear with us, guys! Finally done sending out PM's! Everyone should have gotten a PM from either me or one of the Little Elves with their assigned person. If for some reason you didn't receive a PM from one of us, PM me and let me know. Seems like there were some inactive users, so they've been removed. The affected Secret Santas have been re-assigned as well. The FAQ has been updated to give more details on when you gift your assigned person. I've gotten a lot of PM's asking when you guys send your gifts, so I've updated the FAQ to say that you gift on rollover on the 25th. Send your gifts now! It's now officially Christmas on Chicken Smoothie! I'll be sending out a PM to everyone soon, reminding you guys to send it out now. Ah I forgot to say this last night, but all PM's have been sent out to remind you guys to send out your gifts! Click here for the current time on CS. Everyone has until the end of the day today, CS time, to send out your gifts. There's still time, so everyone who hasn't received their gift yet, please be patient! Your Secret Santa may be occupied in real life with Christmas celebrations and such. I've already sent out the final mass PM, so everyone, please reply asap! This way I can finalize things and make sure everyone gave and got a gift. Don't say who you are a Secret Santa for. Or else why would it be called Secret Santa? Don't harass or be rude to other Santas. Eg: "Your pets for the person are absolute rubbish! Haha!" Don't spam this thread. Keep all discussion on-topic. Don't ask for donations. This defeats the purpose. Do PM me questions. I may use some for the FAQ. Do try your hardest. You should give this your all! 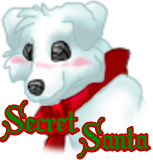 Secret Santa is a popular holiday game/event where everyone gets to be a Secret Santa and is randomly assigned someone else to gift. You aren't allowed to tell anyone who you are gifting and you won't know who is going to gift you. The whole point of this game/event is to collect gifts for the person that you are a Secret Santa for and give it to them on Christmas. Just fill out the membership form completely and post it on this thread. How do I put my profile link and username in the form? 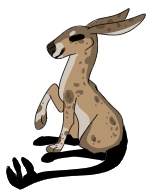 Here's a link to a little mini tutorial. Why are you starting so early this year? It's only September! I'm starting early to gather up Secret Santas so we can assign the Secret Santas around November and you can start collecting to gift in December. It's to make time for preparation. Once registration closes, you will receive a Secret Santa and have someone to be a Secret Santa for. The pairings will be assigned randomly from the list of Secret Santas in the Secret Santa Army so that it really is secret and you really won't know who you're assigned to gift. This also ensures that everyone who participates will get a gift. I'll be sending everyone PM's with everything you need to know, including who you're assigned to gift, the day after registration closes. It depends on the number of people that have signed up so far. Once a deadline has been decided, I'll make an announcement and it will be posted in the thread's title. Registration will definitely end sometime in mid/late November, though. I give about a month for Secret Santas to collect gifts for their assigned person. On rollover on the 25th of December. Or if you know you can't get online that day, tell me in advance and you'll gift on the 24th of December. How do I get the pets? You get the pets just like how you get any other pets: trade, adopt, etc.! How much do we give them? It's up to you. Go crazy! Does the gift have to be on their wishlist? It doesn't have to be, however, it's highly encouraged. People are more likely to keep what they get if it's on their wishlist. You could, however, gift tons of hoard pets which a lot of people avoid putting on their wishlist. Or if they're interested in getting art, you could gift them that. But it's completely understandable if it's too hard. Just try your very best to make them happy! Do I have to gift a dream pet? No you don't. Sometimes these are really expensive, so I wouldn't worry that much about it! You could definitely try, though. Can I gift items, art, characters, etc.? Yes you can. But try to see if they'll like getting art, characters, etc. first! What if I don't have any wishlist pets/items on their wishlist or I don't know what they want? You can PM me to ask them what they want, and I'll ask them for you. That way, you don't have to reveal your identity. You can also check the posts on this thread, since some people have written "letters to Santa" and included what they want for Christmas. When the time comes, what do I say in my message? Something along the lines of... "Hi ____, I was a Secret Santa this Christmas, and this time I was yours! I hope you enjoy my gift!" Personalize it, make them feel awesome, and try to make their day! Can I be a Secret Santa for more than one user? Because of the way Secret Santa will work, technically no. However, don't be afraid to send out gifts in the mean time. It's up to you how many people you want to gift! What happens if someone that joins as a Secret Santa doesn't give a gift? I will contact them personally, asking about their situation and asking them to immediately gift whoever they were assigned to. It may just be because they forgot to gift it at the right time, they were busy, or some other reason. However, if they knowingly didn't gift the person they were assigned to, refuses to give a gift, and just takes the gift that was gifted to them by their Secret Santa, they will be banned from ever participating again. I will personally gift to whoever doesn't get a gift. Are Secret Santas auto-accepted, or...? Yes, anyone can join as long as you completely fill out and post a form. Why is this not in the Free Adoptions? The Free Adoptions forum is where one person gives gifts and the Secret Santa event is where multiple players give gifts, so the thread wouldn't belong there. Because this is an event based around a group of players, the Clubs and armies forum seems suitable. ♥ v i x e n .
♥ none of this exists. Last edited by ImThatRogue on Tue Jan 23, 2018 2:46 pm, edited 161 times in total. I love gifting, and spreading love through the Holiday Season! Can't wait for another year! Helped last year, want to again! Every day towards the evening for at least 2-3 hours! Last edited by Regina on Fri Oct 13, 2017 9:30 am, edited 1 time in total. Why do you want to be a Santa? : i want to make them happy! I'll try really hard to give them something they want! but im a noob, so no promises and i'd feel really bad if i gave them absolute rubbish and they didn't like it ._. Will you dedicate yourself to being a Santa? : Yes! I don't have much to do, so this is a great opportunity to make someone happy and have something to do! Why do you want to be a Santa? : It seems extremely fun, and I haven't been into trading much. This will help me get back into trading, and I get to make someone happy! Have you read the Rules & FAQ? : Yup! Why do you want to be a Santa? : I noticed something im Regina Swan-Mills' forum and decided to look it up. After reading the page it sounded like a really fun thing to be a part of! And I would love to work my hardest to create a really special gift! Will you dedicate yourself to being a Santa? : Of course. Why do you want to be a Santa? : I love giving surprises to humans, and seeing their reactions to the gift. Have you read the Rules & FAQ? : Yup. Other: I did this last year, I'm so excited to do it again!! Why do you want to help? I thought it would be fun to try helping out. Have you participated before? : Yup, joined last year. How often are you online? : Everyday, usually for 7-9 hours. Other: I hope that this year will be fun!! And big thanks to Regina Swan-Mills for making us some more awesome banners! Spread the word and use the banners to advertise! Will you dedicate yourself to being a Santa? : yes, I was a bit late signing up last year. But I really want to do it! Why do you want to be a Santa? : I think it would be nice to give back to all those on CS after all on Christmas we all received the gift of Christ so we should selebraye it by sharing it with others. Other: thank you so much and I keenly await my job as a santa! Last edited by buddy016 on Fri Sep 22, 2017 6:44 am, edited 1 time in total. Hi, I am buddy016. 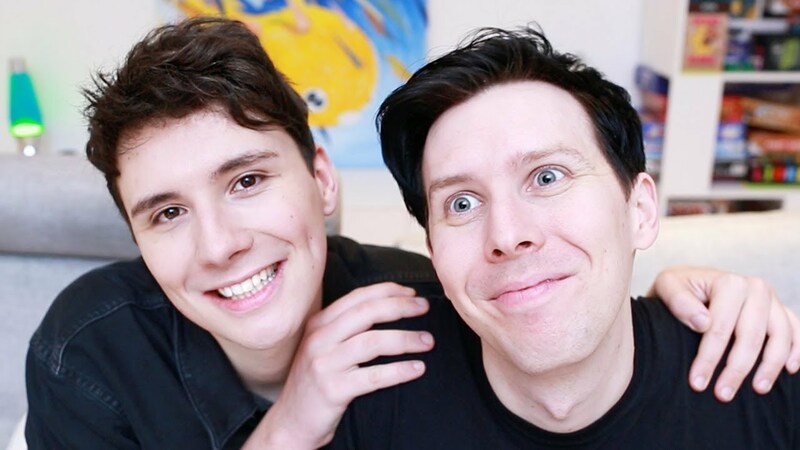 As you can probably tell I am obsessed with Dan and Phil, I am always open to making new friends and often randomly gift people. Will you dedicate yourself to being a Santa? : Totally! Why do you want to be a Santa? : Because I've heard of this so many times but I've always been inactive during christmas time, but this year is the year I have time! Have you read the Rules & FAQ? : Yes! Other: This is such a generous idea, and I am super excited. Last edited by aegean on Mon Sep 25, 2017 10:43 am, edited 1 time in total. if you ever wanna chat just hit me up with a pm!